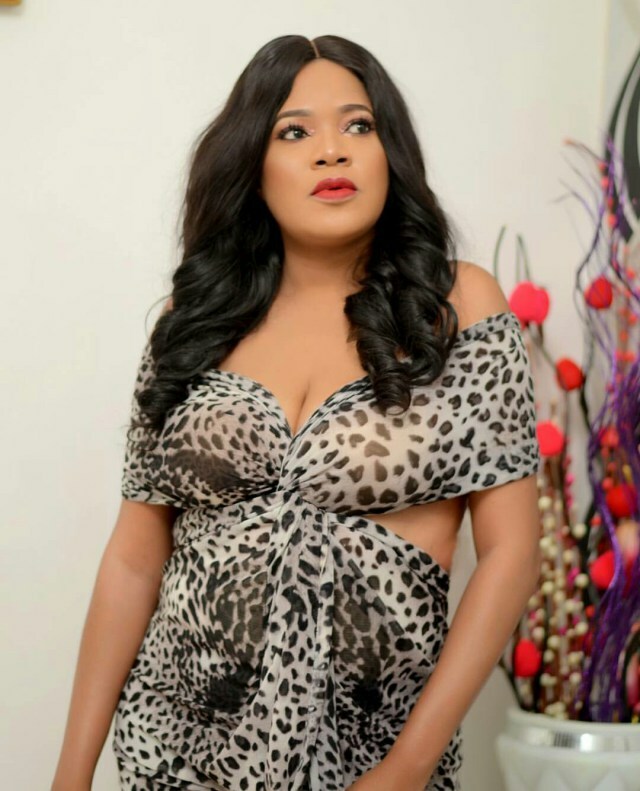 Toyin Abraham shares revealing photo, her fans react! 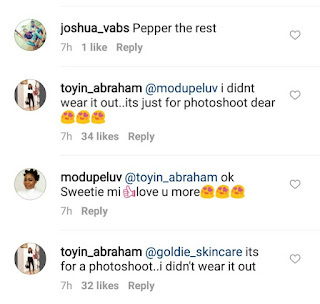 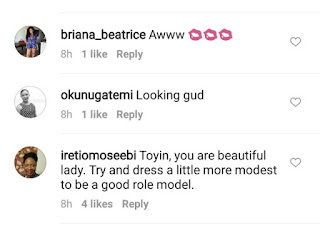 Actress Toyin Abraham shared a revealing photo on her Instagram page last night. 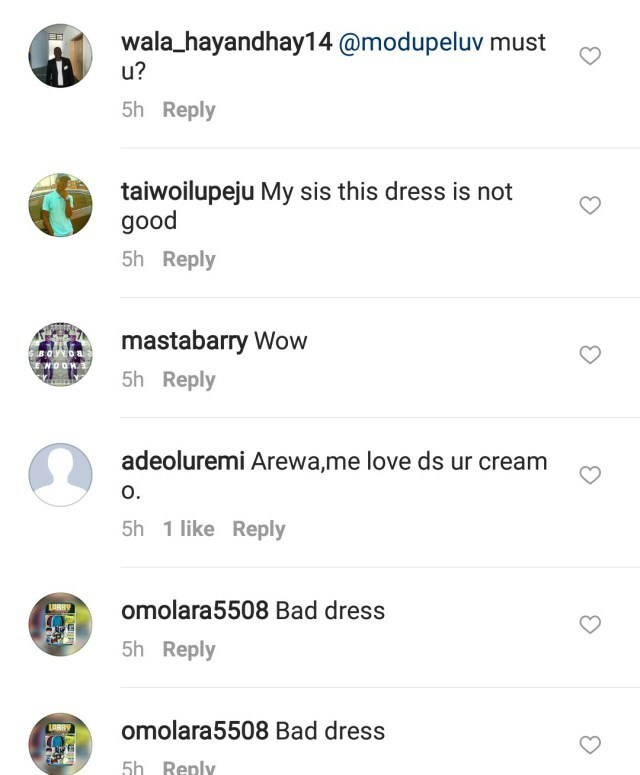 Her fans would not hide their feelings and they sharply told her they weren’t feeling the dress, especially not on her. 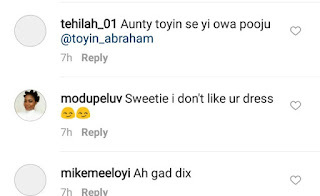 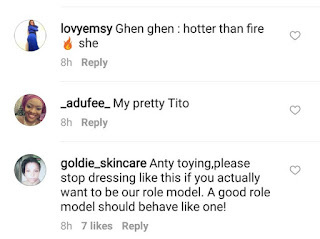 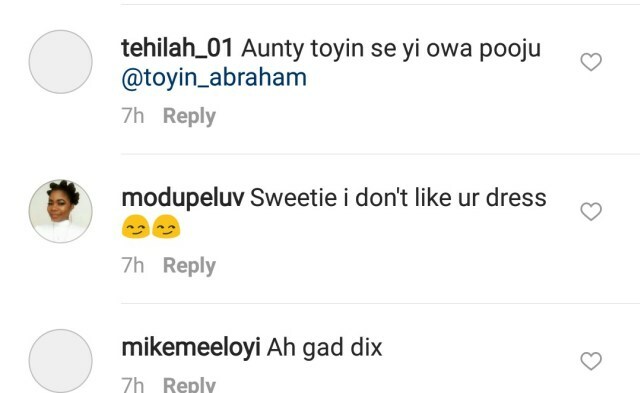 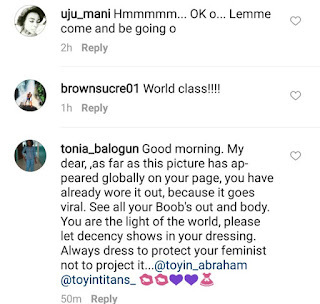 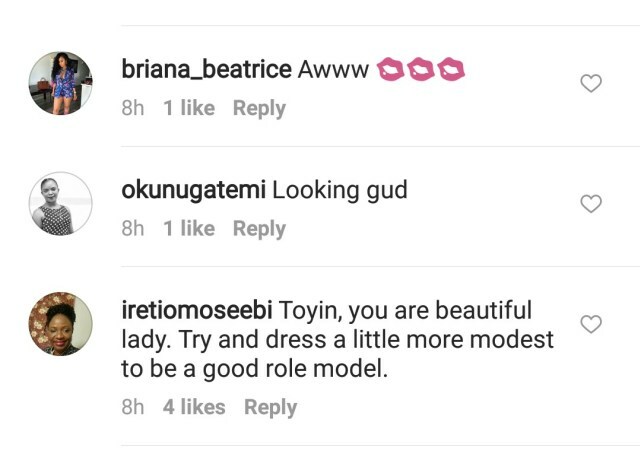 Toyin Abraham could not leave her fans angry, so she had to quickly appeal to them that although she was wearing the dress, there was no way she would step out in it. 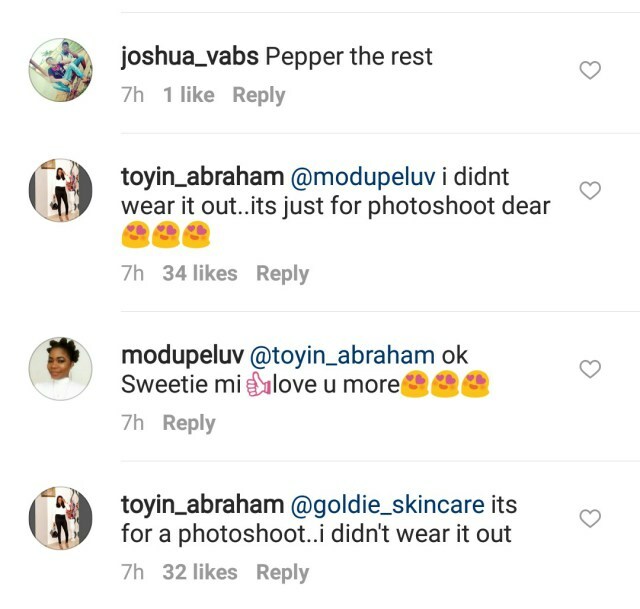 “It is for a photo shoot” she explained. 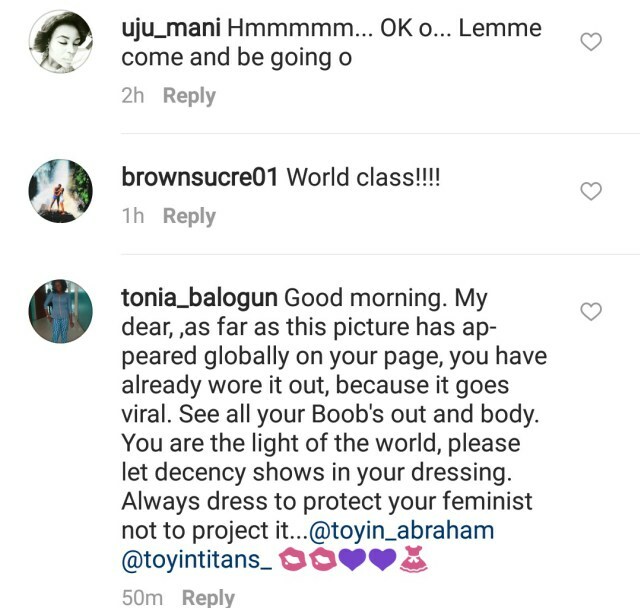 However, this explanation did not sit well with some fans still, according to them, the social media is as good as wearing dress out. 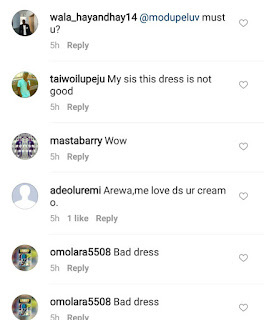 In fact, the social media is more open than any outing she could wear the revealing dress to.